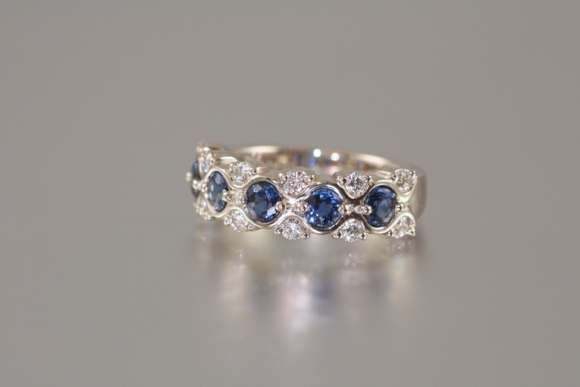 This beautiful ring is set in platinum with five round sapphires of vivid blue color. The sapphires are accented by high quality round brilliant diamonds. The total sapphire weight is .95 carat. The total diamond weight is .42 carat. This ring is top quality.